If there is one thing you need to know about me, it is that I LOVE dying my hair. I've been dying my hair for over four years now. I started with the natural colours, branched out to dip dyes and then full on bright colours. I know I don't normally do beauty related posts if you can even call this post, that but my hair is a very important part of my identity. Dying my hair different colours, especially the brighter colours make me super happy. I love the confidence it gives me. 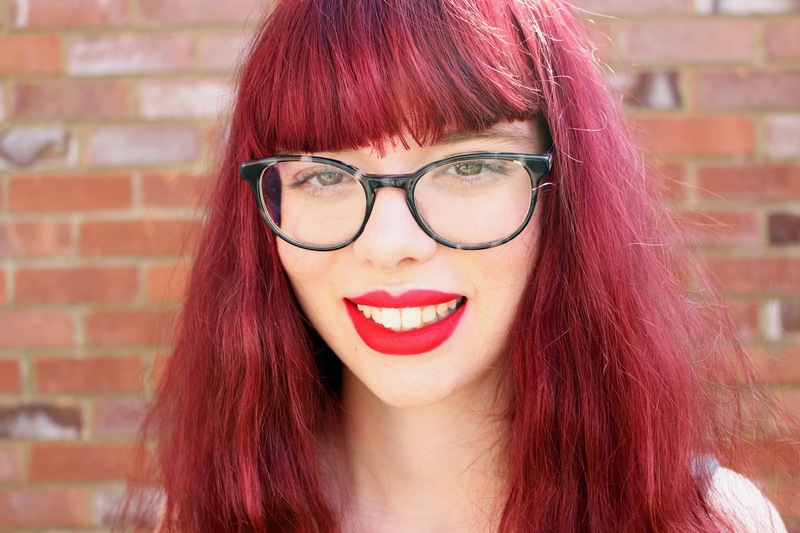 The first time I dyed my hair bright pink all over, I felt like an entirely new person. My mental health improved so much, and I noticed the change in myself for sure, and so did the people around me. Dying your hair bright colours isn't going to be for everyone. Some people like tattoos or piercings. My thing is dying my hair. I know people say I shouldn't because it's going to fall out from all the damage. But I'll rather have had fun with my hair while I can before I'm restricted with how I express myself in an office job. I hope you enjoy looking through these old hairstyles. I've included some right embarrassing ones. You are definitely in for a treat. So, this is one of those generic photos from my childhood. 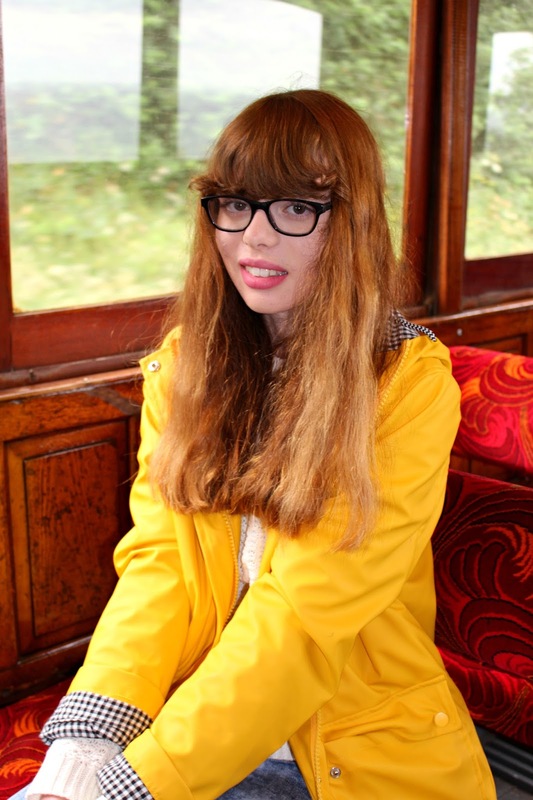 My natural hair colour was mousey brown and pretty much was always an average ish length. Also, you will notice as we go through these photos I have had a full fringe for all of my life. I couldn't really imagine myself without one. And yes I think I always will have one. I must have been around eight or nine here. Here is where things start to get interesting though. At the start of secondary school, I thought it would be a good idea to cut all my hair off into this short bob. I now look back and realise what an awful mistake that was. Pretty sure most girls made this mistake though. If you escaped the awkward bob stage, you're one lucky thing. 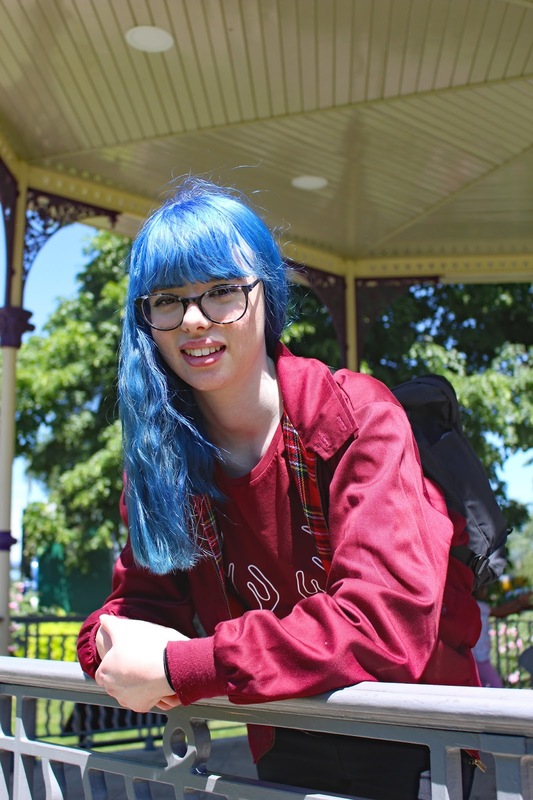 Then in year 10, I discovered hair dye and so did my four-year addiction to dying my hair. By this point, my hair had grown out a lot and was quite a nice length. Look after your hair kids, it is worth it. 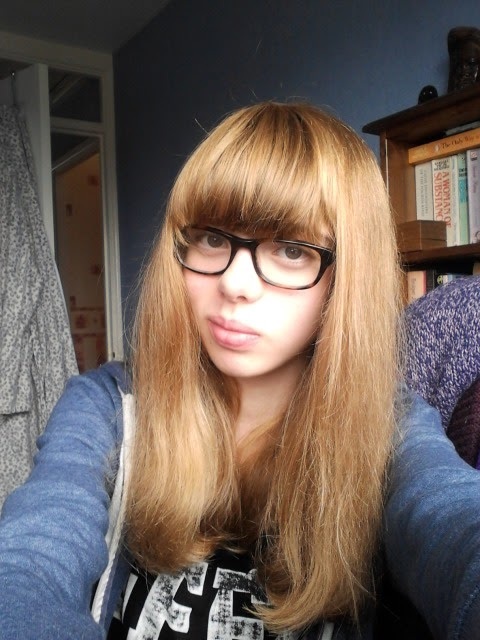 The first colour I ever dyed my hair was this golden blonde colour, which wasn't that bad. And I didn't stop dying it blonde. As you can see blonde doesn't suit me. I just don't suit blonde at all which crushed all my hopes and dreams of having short blonde curly hair, like I did as a young child. GUTTED! I then dyed my hair copper to get rid of the blonde, but I can't seem to find any photos of that. Mid way through my GCSE exams I dyed my hair dark brown, but it went black. It washed me out so much. I looked like a vampire, so I had to put my hair up all the time, to even look semi awake. 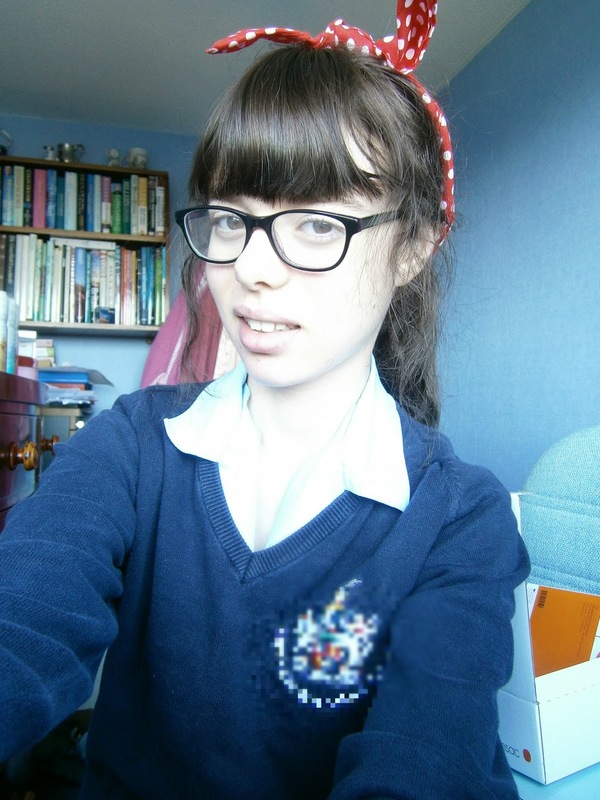 This red hair ribbon you can see in the photo was my go to during late year 11. I kinda dig this look I must say. 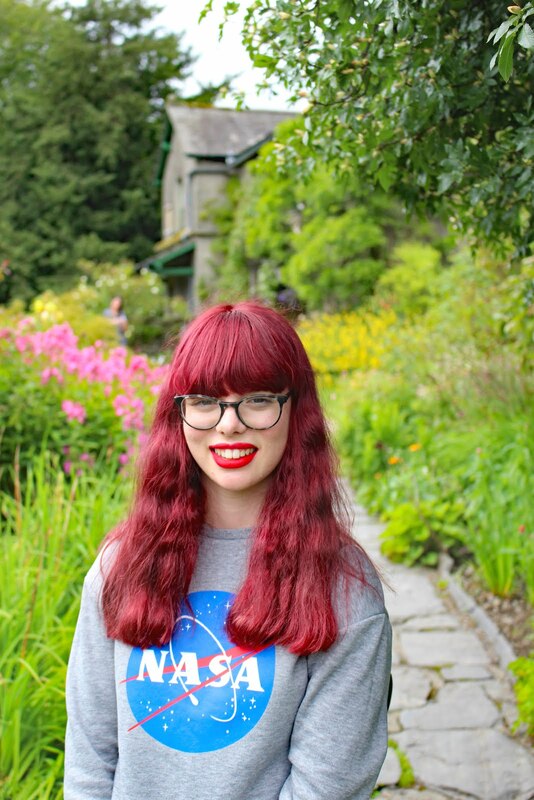 The black faded into this deep chocolate brown colour and this was the colour I had for my 2015 prom and holiday in Cornwall. I think my hair is the longest it has ever been in this photo. I think chocolate brown is my go to colour if I don't know what to do with my hair, as you will see, later on. By the end of 2015, my hair had faded even more, and now it was this brown, blonde, ginger and black mess. Basically an amalgamation of all the colours. I left my hair to do what it wanted, and I didn't touch it in months. I'm sure I said I was never going to dye my hair again, how wrong was I. Around Easter of 2016, I dyed it a brown/red colour which I had floating around my house which I never used. I'm pretty sure it was a bit out of date because there wasn't much colour in it, as you can see it didn't do much to my hair. Although it did even things up a bit. This photo was taken on my holiday in the Isle Of Man, 2016. As you can see my hair went back to that brown/ blonde colour again. I wasn't that interested in doing much with my hair at this point in my life because I wasn't that well. But then out of nowhere I kind of felt this urge to dye my hair bright colours. I think I was inspired by Zoe London, who rocks blue hair. I didn't know if the blue hair would suit me, so I went to Boots and bought some hair chalk. I put blue and green on the ends of my hair, and I LOVED IT! So I bleached the ends of my hair and dip dyed it green. Not the best colour to be honest. It went on quite unevenly and didn't last that long either. To be fair when I first started dying my hair bright colours I had no idea what I was doing. Does anyone? When the blonde faded out, I dip dyed it a purple/ pink colour. I used a proper hair dying brush this time, and it worked well. I liked the pink a lot more than the green, so I kept it for quite a few months actually. 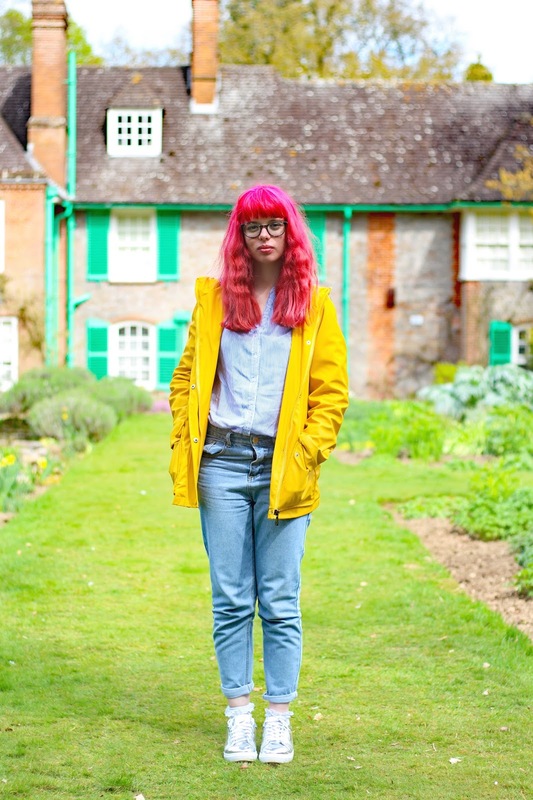 I had it starting college (round two), and it gave me a new lease of confidence. I wanted to be Wednesday Adams for Halloween, so I dyed my hair that dark brown colour again and kept it for a while, I think till Easter 2017. I do like the brown, as I said before although I believe that it makes me look older than I actually am. Easter 2017, was my time to shine. Forget dip dyes and chalks, I went full on bright pink. I think the coloured I used was actually called 'Rasberry Rebel' whatever it was, I loved it! I felt so sassy and confident. People seemed to really like it too which made me love it even more. After a couple of top ups, my roots were coming through, so I picked my next colour. This time I went blue. Bright blue. Again I loved it, not as much as the pink, but it was quite cool and didn't fade that quickly, unlike the pink which was great at the time until I wanted to change colours and realised it would be harder than I initially thought. So, I did want to go bright purple, I even bought the hair dye, but it just wasn't happening. Blue hair dye stains your hair if you didn't know. That meant that I was left with this green colour, which I actually quite liked but I needed a proper colour to go on holiday with, in less than a weeks time. With the help of a lot of Googling and advice from my hairdresser friends, I had to dye my hair red to get rid of the green tones and so I did. I actually really like this colour too. Again, I think it really suits me and people seemed to like it too. This is my present colour, as I write this post and it probably will be for a bit while I let my hair rest. So what is in store for the future? Well, I will be going bright purple at some point as I have the hair dye. I also want to go bright orange and pillar box red too. Those colours are on the top of my list but who knows what the future holds? I hope you enjoyed reading, what hair colours have you been? I would love to know in the comments below. This is a super cute post - it's really interesting to see all your hair changes. Loved this post Nicole - I lovelovelove your red hair! 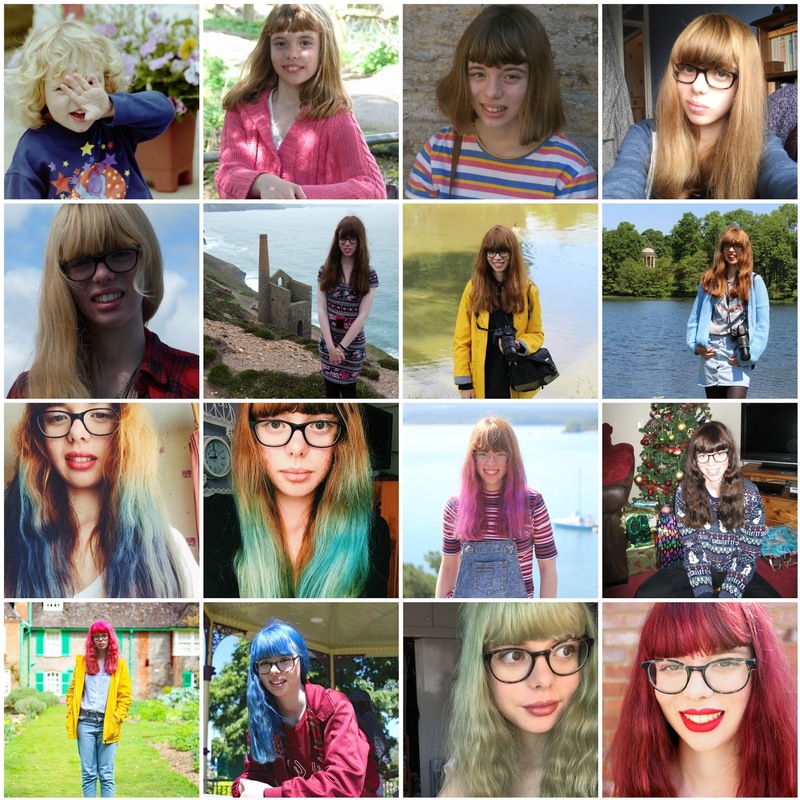 I loved this post, I too am a colour chameleon and my hair is a huge part of my identity - if my hair is not right I feel crap about myself! I love the picture of you with blue hair, but I found it really stains too as.I went purple which then went blue and green as it faded....but I have to say I think you look absolutely fabulous with the red - it's making me really tempted to try it!